Enjoy a six month membership at yogahaven, a boutique collection of urban yoga studios offering hot yoga at all levels and practices. yogahaven studios can be found in Clapham, Richmond and Birmingham, offering a wide variety of yoga classes where there’s something for everyone; regardless of your level of experience, flexibility, or strength. Whether you’re a ballerina or a builder, a lawyer or a chef – yogahaven is confident that their yoga classes will change the way you look at health, fitness and meditation. Launched in 2003, yogahaven was one of the original pioneers in offering a dedicated hot yoga studio. Founder Allie Hill, developed her signature “Hot Flow” class, 60 minutes of vinyasa flow which gives both the mind and body a full workout. The Hot Flow classes are a cornerstone of a weekly schedule packed with variety and levels to suit everyone from the complete beginner through to the dedicated yogi, regardless of the individual’s flexibility or strength. While yogahaven is known for the hot classes, non-heated practices are also on offer throughout the day. Allie Hill founded yogahaven 15 years ago and is one of the pioneers of yoga practice. 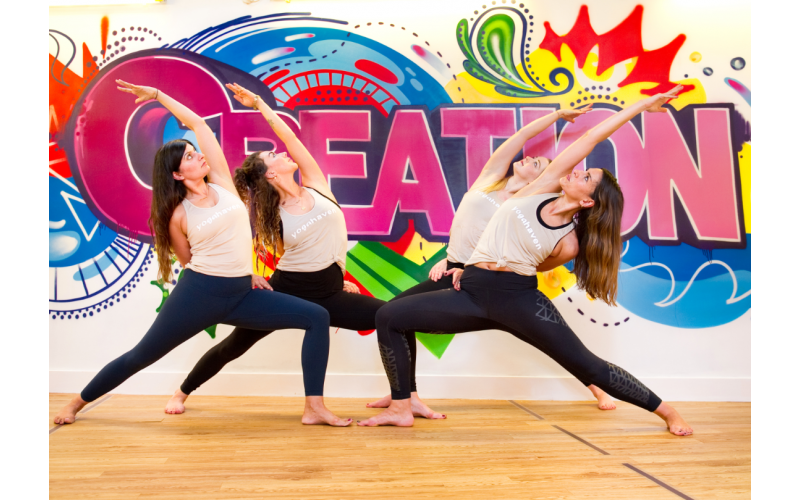 When yogahaven first launched, it was completely revolutionary in the fitness market and very much considered ‘ahead of its time’: a set of functional urban yoga studios offering a range of nonprescriptive yoga classes and workshops led by highly experienced and inspiring instructors. yogahaven also offers a 200-hour yoga teacher training course with its sister company, yogahaven Teacher Training. yogahaven Teacher Training has trained over 700 aspiring yoga teachers with courses in Greece, Morocco and more recently, Brighton.